The Evergreen student will accumulate academic credit for work well done and levels of performance reached. Only if a student successfully fulfills academic obligations will full credit be entered on the permanent academic record. Otherwise, there will be either no entry, or the recording of a reduced number of credits to represent what was actually accomplished. Full-time and part-time students. Normal academic progress for a full-time undergraduate student entails the earning of 12 to 16 quarter-hours of credit each quarter, or 36 to 48 quarter-hours each academic year. Students enrolled for fewer than 12 quarter-hours of study are classified as part-time students for registration and records, Veterans Administration, and financial aid purposes. Such students will normally enroll in half-time programs or in modular courses, although part-time individual contract study is also permissible. Students at Evergeen for full-time status can be enrolled in only one credit-generating program of study at a time. Students who have been accepted for full-time study are eligible to apply for a leave of absence. They may apply for leave in any quarter, whether or not they are enrolled at full-time status in that quarter. Leave of absence normally lasts for one quarter, but may be longer under extenuating circumstances. Application for a leave of absence is initiated in the office of registration and records. A full-time student may officially reduce a credit load below full-time for one quarter with the approval of registration and records. Such reduction can have implications for financial aid and veterans benefits, so it should be done with some caution. In the succeeding quarter, the student must seek approval of registration and records to resume a full load of academic work. Any changes in the numbers of credits for which a student is registered must be submitted no later than the sixth class day of any quarter. The academic standing of each Evergreen student is carefully monitored to ensure the full development of his or her academic potential. Any student not making satisfactory academic progress, as defined below, is informed of his or her standing in the college and is advised accordingly. Evaluation by faculty of student achievement formally occurs at the conclusion of programs, contracts, courses and internships. In addition, any student in danger of receiving less than full credit is so notified in writing at mid-quarter by his or her sponsor. A student making unsatisfactory academic progress will receive an academic warning and may be required to take a leave of absence. 1. Academic warning. A student who earns fewer than three-fourths the number of registered credits in two successive quarters will receive an academic warning, issued by the dean of enrollment services. A student registered-for six (6) quarter-hours or more who receives no credit in any quarter will also receive an academic warning. Such warning will urge the student to seek academic advice or personal counseling from a member of the faculty or through appropriate offices in student development. A student will be removed from academic warning status upon receiving at least three-fourths of the credit for which s/he is registered in two successive quarters. 2. Required leave of absence. A student who has received an academic warning and who, at the next evaluation period, receives either an incomplete or less than three-fourths of the credit for which s/he is registered will be required to take a leave of absence, normally for one full year. A waiver of required leave can be granted only by the academic dean whose desk assignments include academic standing upon the student's presentation of evidence of extenuating circumstances. A student returning from required leave will re-enter on academic warning and will be expected to make satisfactory progress toward a bachelors degree. Failure to earn at least three-fourths credit at the first evaluation period will result in dismissal from the college. 3. Any student who is dismissed from the college for academic reasons will not be allowed to register for any academic program or course at the college during any subsequent quarter. A student who has been so dismissed may only be readmitted to the college through a successful petition to the academic deans. 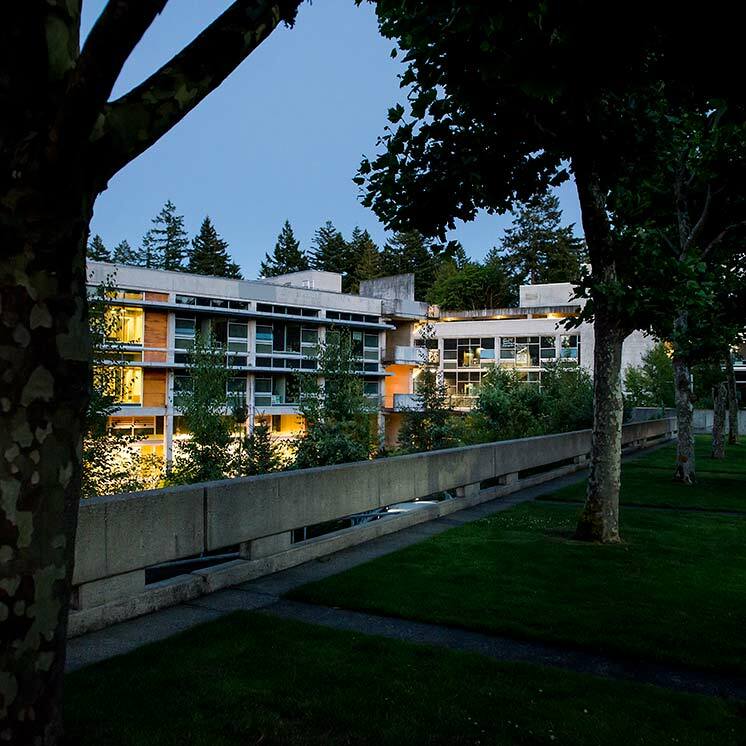 The petition must convince the deans that there are compelling reasons to believe that the conditions that previously prevented the student from making satisfactory progress at Evergreen have changed.